Become a member of our professional team with world-class output which stems from our industry leading commitment to input! Penti-M Engineering Australia currently have 2 x positions available for professional applicants to join our premier team at our Rockhampton facility. One (1) position is available for the right candidate to fill the 1st Class Fitter & Machinist slot. One (1) position is available for the right candidate to fill the Business Administration role. Applications are now being taken via email: info@penti-mengineering.com.au or via our service desk at reception. Resumes MUST include a cover letter. – Trade Qualified to Australian Standard or equivalent. – Minimum 4 years post-trade experience or be able to demonstrate exceptional skill and knowledge otherwise. – Possess a strong safety, environmental, community and sustainable employment focus. – Ability to demonstrate problem solving, strong mathematical ability and productive work ethic in a fast moving work environment. – Ability to program, operate, monitor, control, set and edit CNC machine tools. Includes ISO. – Ability to operate a large variety of conventional precision machine tools – horizontal borer, surface grinder, cylindrical grinder. – Ability to productively and efficiently operate welding and metal spraying processes for specialised customer requirements. – Possess extensive knowledge in mechanical systems, components and machinery in the field of engineering and manufacturing. – Possess a strong focus on teamwork, including the ability to work within a team and individually. – Year 12 High School Certificate. – Ability to proficiently use Microsoft Office programs for Business Administration purposes. – Ability to learn and adapt to new software and office systems and programs. – Ability to implement change and improvements to inefficient processes. – Possess excellent customer relation skills and enjoy meeting, interacting and communicating with clients. – Interest in engineering is advantageous but a willingness to learn and be a member of our team is more so. 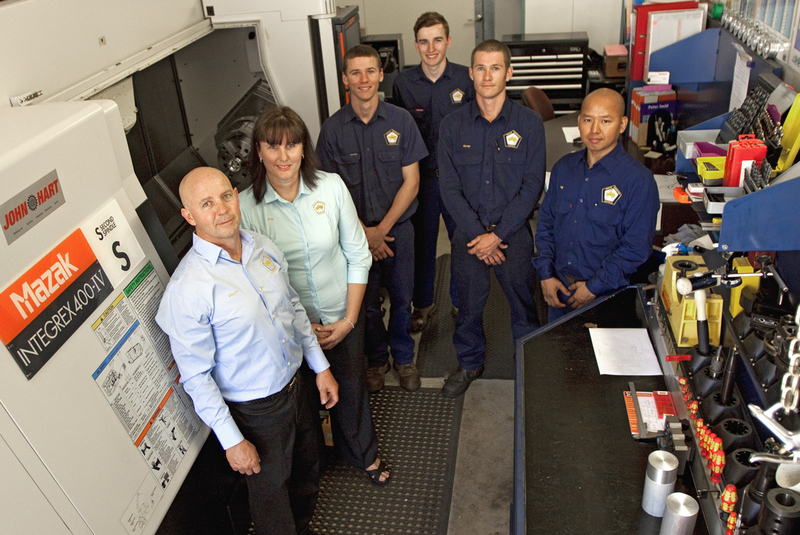 Both positions are based in Rockhampton at our comprehensive engineering workshop Monday – Friday, with the option of additional on-site work (Fitter & Machinist ONLY) and overtime when required. For further information about our company and services please view our website and social media channels. Applications close 5pm, Friday June 30th, 2017. Please do not apply for this position unless you already reside in Australia and have permission to work in Australia.